Look! Peppa is celebrating her birthday, too, with a birthday picnic set upon a beautiful, 2-tiered, girly celebration cake! 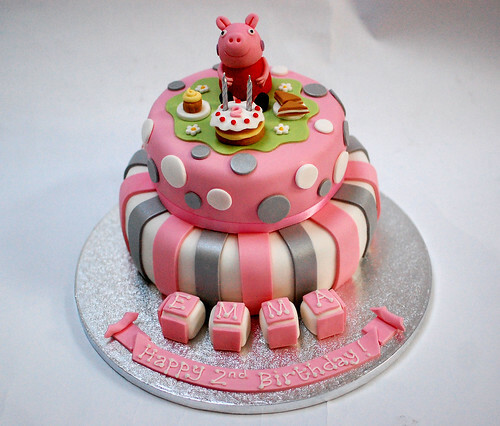 Peppa Pig’s Birthday Cake – from £80. ← Previous Previous post: Vespa Riding Psychotherapist’s Cake!